Andre Rieu in Montreal or Quebec City? Inform me about the next events for Andre Rieu. Enroll yourself to our priority waiting list for Andre Rieu to be alerted when new tickets are available. Filling this form doesn't engage you to any purchase. 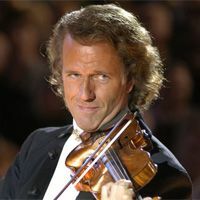 Dutch artist André Rieu is one of the most talented violinists in the world. The latter will be in concert at the Montreal Bell Centre on September 25th and at the Quebec City Videotron Centre on September 26th, 2018. These evenings with André Rieu promise to impress us. Make sure not to pass this great musician near you!